Bruges is easily one of the most beautiful places I’ve ever seen. This well-kept, medieval city in northwest Belgium is made even more incredible by a series of canals that flow through town. The canals have led to Bruges being nicknamed the “Venice of the North”, and canal tours are one of the city’s top tourist attractions. Bruges is an amazing city, but it’s overflowing with tourists in the summer. That poses plenty of problems, but it also means that you can find tons of coupons for a canal tour. I honestly don’t remember how much my mom and I paid, but it was cheap. Before we did anything else in Bruges (aside from find our hotel), my mom and I hopped on a canal tour with about 30 other tourists. Our guide was probably no older than 21, but he was knowledgeable and multi-lingual. He asked where everyone was from on the boat and translated all of his information in the different languages everyone needed (click here to get a feel for what a canal tour is like in Bruges). Bruges is very unique, because many of the buildings are built right into the canals (unlike other cities in Europe). That means the canal tour gives you a very unique perspective of the city that you can’t get from the streets (or anywhere else for that matter). A canal tour in Bruges is truly spectacular (as you can see from the pictures) and it’s highly recommended if you ever find yourself in Belgium. 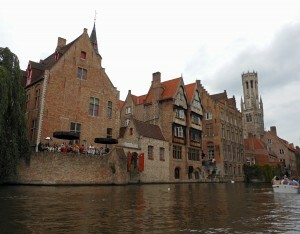 Bruges is known as one of the most well-preserved medieval cities in the world. At one point on our canal tour, we cruised under a small old bridge. Our guide told us the bridge was one of the first ever built in the city (constructed in the 14th century), and then went on to explain that it’s never been restored. That’s unbelievable (I mean, I truly can’t wrap my head around it). We were looking at the same bridge that people walked across in the 1300s. The neat thing is — you can actually find other historical sites like that all over Bruges. Our Bruges canal tour was great, but it wasn’t perfect. That’s because I got pooped on by a seagull. No joke! 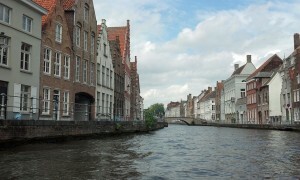 We were cruising along and I saw this incredible view of Bruges down the canal. I reached into my pocket to grab my camera and started to line up the perfect shot. I wanted to make sure I had the best picture possible, so I put down my camera for two seconds to see the view again. I suddenly saw this bird dive bombing our boat. I’m pretty sure it was on a kamikaze mission, because he turned away from the boat at the last-minute. Suddenly…splat! The bird dumped right on my chest. I couldn’t do anything but laugh. The people sitting next to me on the boat didn’t speak English, but someone getting pooped on by a seagull is funny no matter what country you’re from. They started laughing as well. Luckily, my mom carries tons of napkins with her, so we quickly wiped the poop off my shirt and continued our cruise. No harm, no foul. Sightseeing is the name of the game in Bruges. There’s really not a ton to do there, especially if you’re a younger dude. Most of the tourists I saw were families or elderly couples. That’s why Bruges really quiets down at night (except for Charlie Rockets — a rowdy bar/hostel near the city centre). 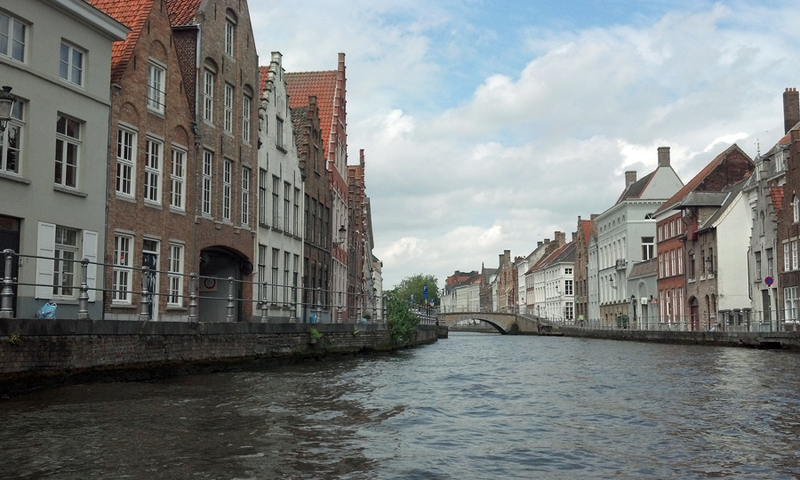 Aside from devouring waffles, chocolate, mussels, and sipping down a few white beers, my favorite part of Belgium was our canal tour in Bruges. I recommend it to anyone planning a trip to Belgium. 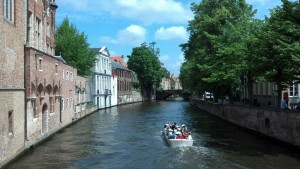 Have you ever gone on a Bruges canal tour? What did you think? We would love to hear your story! You can leave a comment below or connect with us on Twitter, Facebook, and Google+. 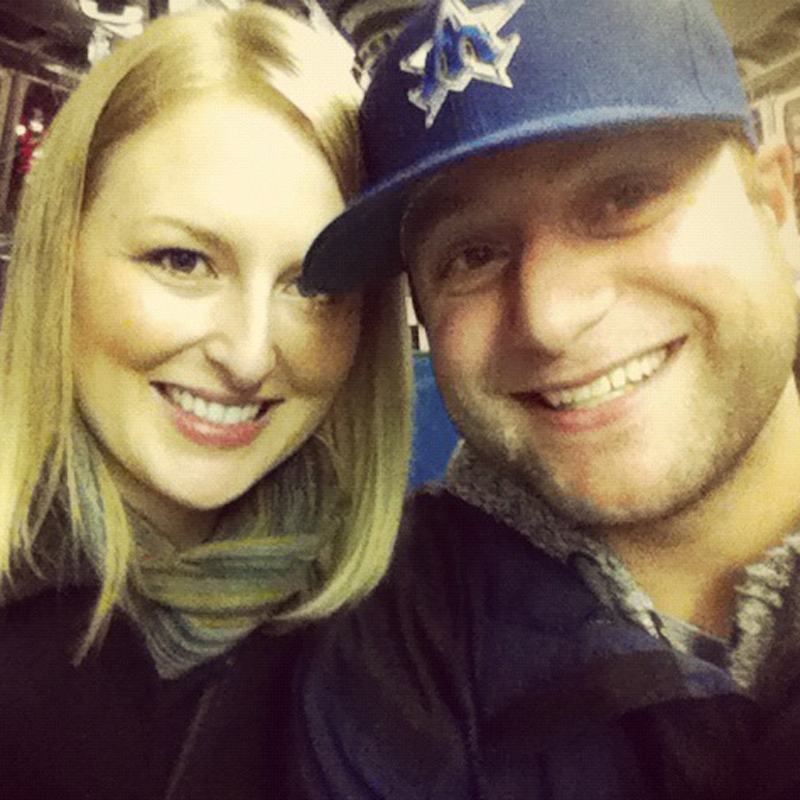 Don’t forget to also visit Seattle Bloggers for more great international getaways.